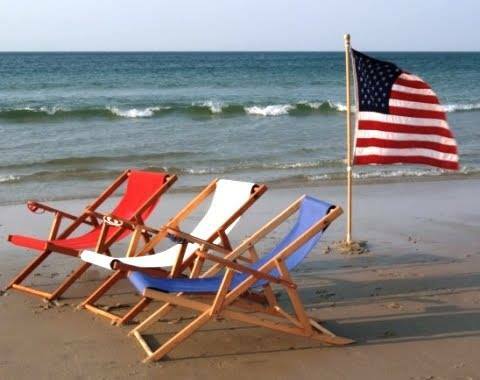 The 4th of July will be behind us, but let’s keep out the RED, WHITE and BLUE for a few more days and celebrate the GREATNESS of the USA!! The EIPHC will honor our country and patriotism during our July Phlocking on July 6, 2018 from 7-9 pm at the E-Club. We all know what a GREAT country we live in, so let’s forget about all things political and come together to celebrate in the traditional Parrot Head way….by Partying with a Purpose!! We will celebrate our country’s 242nd birthday and show our loyalty by donning our best PATRIOTIC gear and getting back to Making America Great by helping others!! Our 50/50 raffle will be donated to A Second Helping – Emerald Isle. This fantastic organization collects leftover food from vacationers as they leave the island on Saturdays and Sundays. Collected food items are then distributed to the needy in our area. You can continue to help by spreading the word that DROP OFF LOCATIONS AND TIMES ARE: Bert’s Surf Shop (across the street under the tent) 8:00am-11:00am or at Stir it Up Coffee 7:00am-11:00am every weekend. VOLUNTEERS are always needed and appreciated so you can sign up at http://asecondhelping-emeraldisle.com. Matt will be providing the free food and drink specials that we all look forward to each month and we should have a few “out of town friends” to join our celebration of AMERICA. We look forward to seeing everyone there!